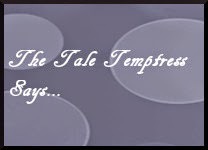 The Tale Temptress: Discussion Post: What do you do when you're on a particular reading kick? Discussion Post: What do you do when you're on a particular reading kick? My Discussion Topic This Week - What do you do when you're on a reading kick for a certain genre/sub-genre and can't get out of it? So maybe you can tell by my posts, and of course, because I've said it before, that I'm on a big contemporary kick right now, especially with New Adult books. I can't seem to get enough of them right now. I've been on these one-sub-genre kicks before, but I don't think I've ever hit one that's lasted this long. Most of the time, I might get on a kick for a couple weeks or so, but this one's been going for almost two months! Ordinarily, I would say, hey, so what? I'm enjoying what I'm reading. What's the big deal? The only problem I see with that is that my blog readers may not be as excited by contemporary/New Adult as much as I am right now. Or maybe they like that sub-genre but they might not want to read reviews about it for two months straight. LOL! Most people want to see a little bit more variety. So how do you get out off a kick like that? Should it matter? Would you also worry about your blog readers getting bored with the same sub-genre you keep putting up?